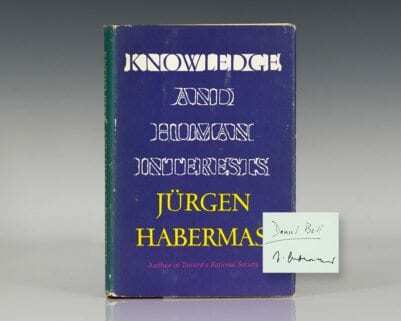 New York: Harper & Row, Publishers, 1975. 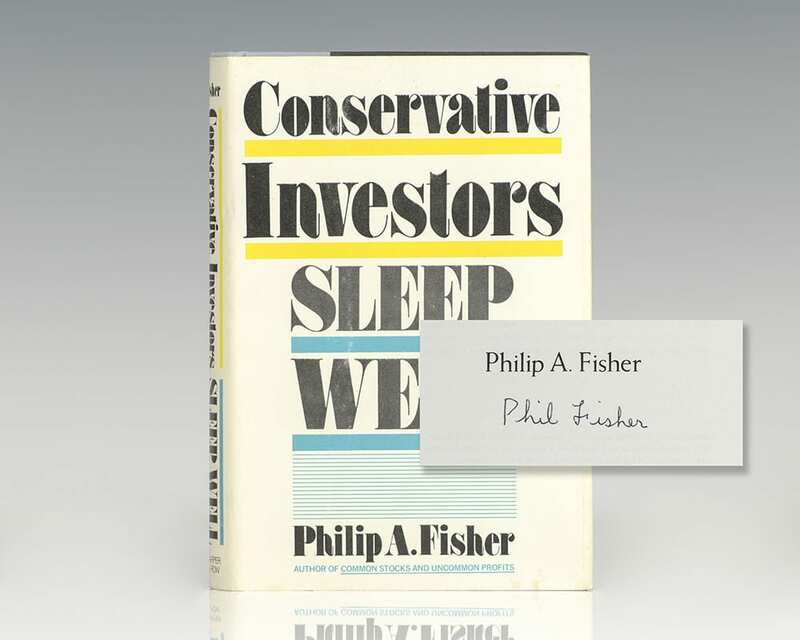 First edition of Philip Fisher’s second book. Octavo, original half cloth. Boldly signed by Philip Fisher on the title page. 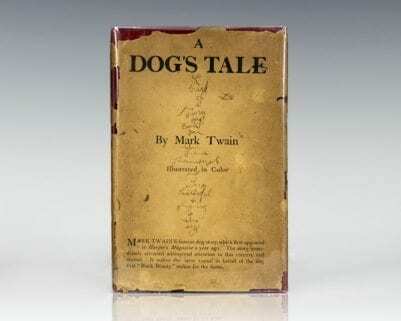 Fine in a near fine price-clipped dust jacket. Jacket design by Ronald Clyne. 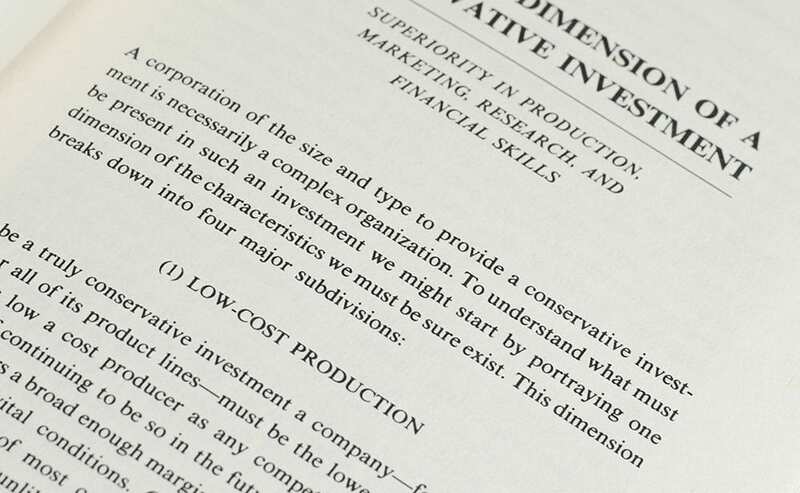 Money, says Philip A. Fisher, can consistently by made through intelligent, long-term investing, while the belief that it can also be made through outguessing others as to short-term moves is a major source of the stock markets troubles in recent years. 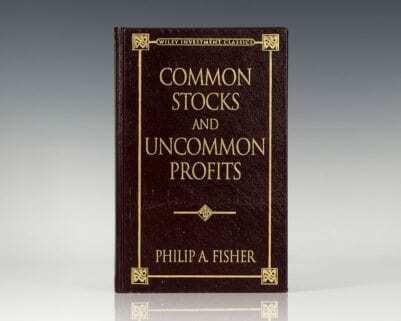 In 1947, Fisher stopped serving the general public, and, on the behalf of a few wealthy clients, focused solely on finding the occasional stock, that, if held for many years, could offer abnormal rewards. 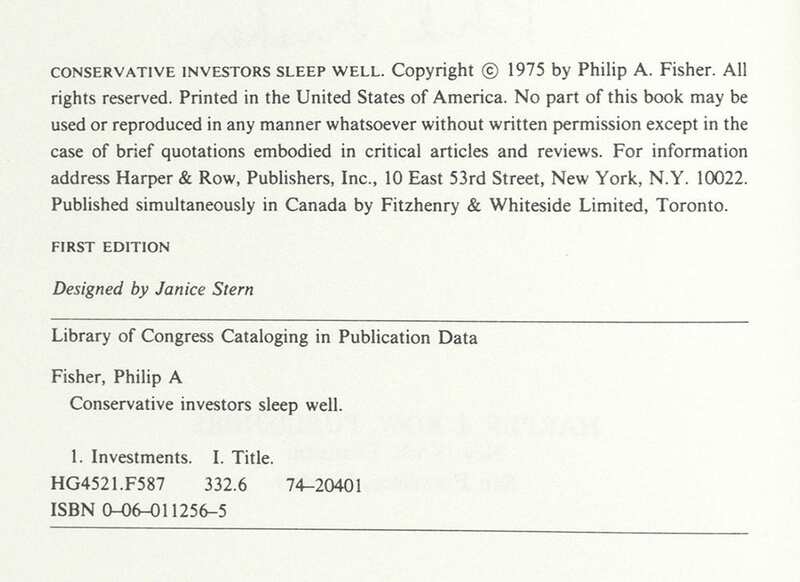 Conservative Investors Sleep Well offers fresh, penetrating insights into his methods of stock investing previously expounded upon in his Common Stocks & Uncommon Profits.